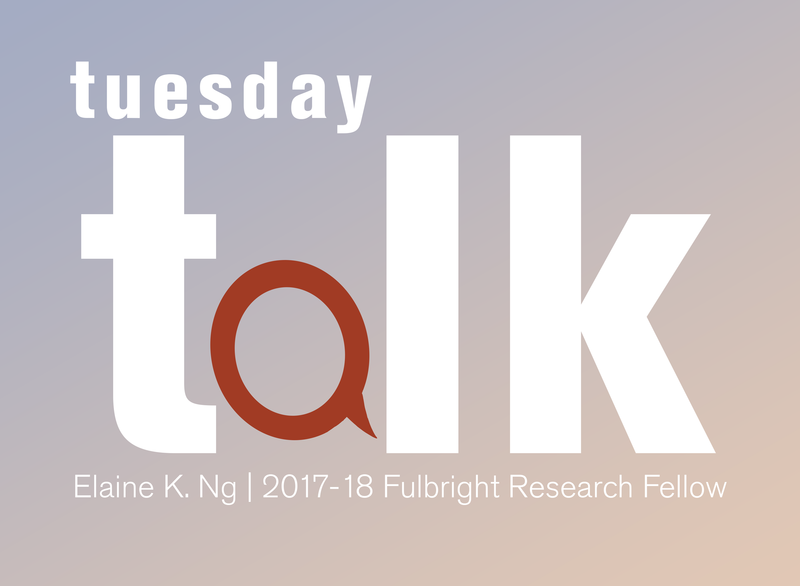 Join us for a Tuesday Talk with Biennial artist Elaine K. Ng, who will speak about her recent work and share information about her experience this past year as a 2017-18 Fulbright Research Fellow at the Graduate Institute of Applied Arts at Tainan National University of the Arts in Taiwan. During her Fulbright Fellowship, Ng worked primarily in ceramics and fiber exploring the visual language of cultural hybridization in Taiwan and tying it to ideas about cartography and art as map-making. Ng will talk about this body of work and also the process of applying for the Fulbright Fellowship Award for other artists. Elaine K. Ng received her Bachelor of Arts from the University of California, Davis. She continued on to earn her Master of Business Administration/Master of Arts dual degree in Arts Administration from Southern Methodist University and later completed her Master of Fine Arts at Cranbrook Academy of Art. Ng currently resides in Rockland, Maine.